Poker Joe is a colorful character and a good bookend piece to Lucky John. 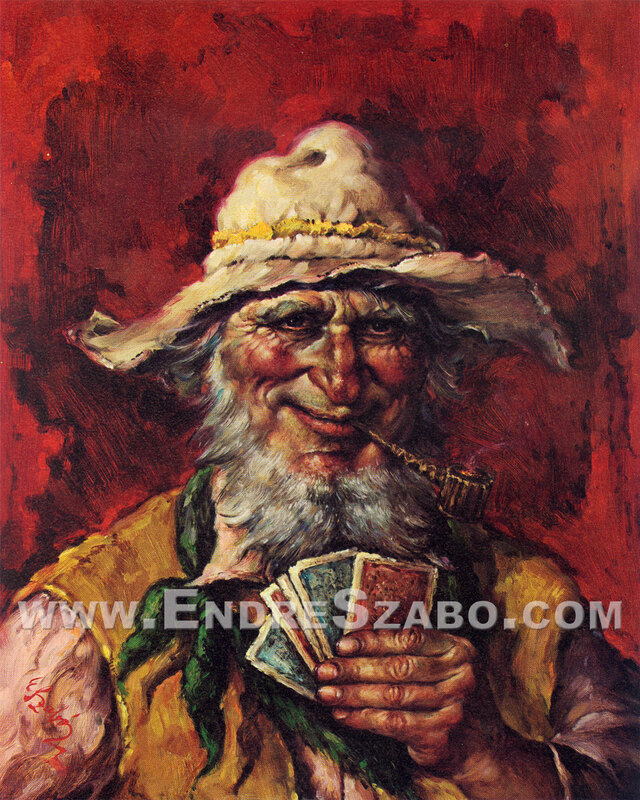 Endre Szabo was well known for his expertise in painting the human hand, and these poker art portraits certainly show why, all the way down to the dirt and grime underneath their cracked nails. Poker Joe is a great addition to any poker room.